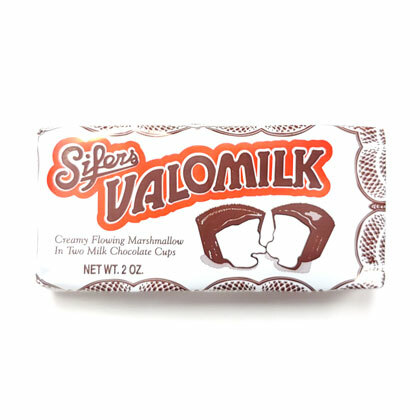 Sifers Valomilk, made from the same 1931 recipe. Smooth and flowing marshmallow center in 2 inch chocolate cups. When it runs down your chin, you know it's a Valomilk! 2 cups in each packet. Net weight 2 oz package.